The loneliest Espada, Ulquiorra Cifer, is known for his crazy abilities and fighting potential against many different opponents. The one who challenged him the most would be Ichigo and his Hollow form which absolutely showed through and demolished him. His loneliness was shown the moment Orihime approached him as he counted down do the end of his life. 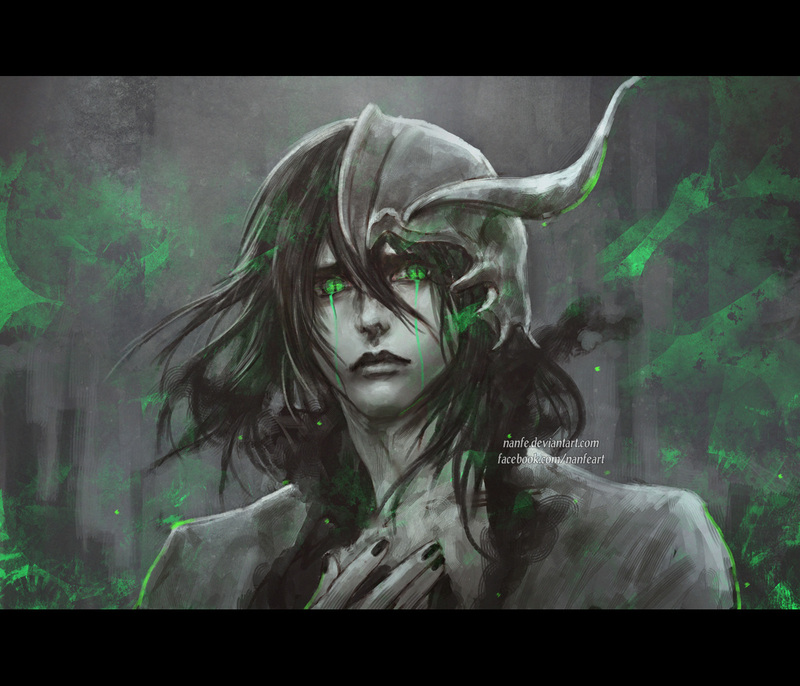 This awesome artwork of Ulquiorra was drawn by NanFe who’s artwork has been featured here a few times before. Out of which, he seems to be a pretty huge fan of Bleach. If you like her work, be sure to check her other fan art and artwork out. Otherwise be sure to share this with other fans of Bleach as well as Ulquiorra Cifer. Wow, this one is cool. Lonely Espada is a good description for this. He was always a super serious guy, but this art really reflects the lack of warmth in his gaze. Really great. His aspect of death is Emptiness, so I’m not surprised the artiest drew him this way. It’s captures his personality very well. I realy like the art, it really brings the character to life. I also am a big fan of bleach cause it was the first anime I watched and Ulquiorra is my favourite eapada right up there with Grimmjow. Because they both have great character design and personalities that are totaly polar opposites from each other.